I made this the other day and it surpassed all my expectations!!! 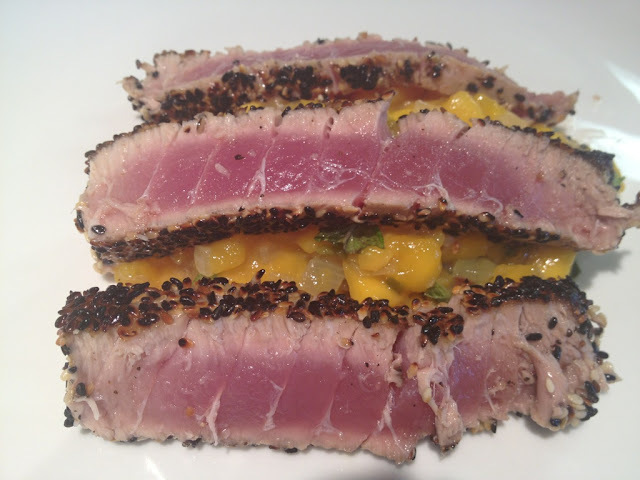 Searing tuna is incredibly easy and takes no time to prepare. I chose to buy fresh tuna which I paid a pretty penny for. However, I think it was well justified because you could never get this much tuna at a restaurant for $20. I recommend using a cast iron skillet to cook the tuna in as I am still trying to get the grime off my stainless steel pan. Also, another secret to getting a perfectly seared tuna is using grapeseed oil instead of olive oil. Grapeseed oil has a much higher smoke point than olive oil. This means that the grapeseed oil gets much hotter than olive oil which is what you want to get that sear. Another great thing about grapeseed oil is that it is higher in vitamin E than olive oil. Vitamin E is an antioxidant and helps protect your immune system! 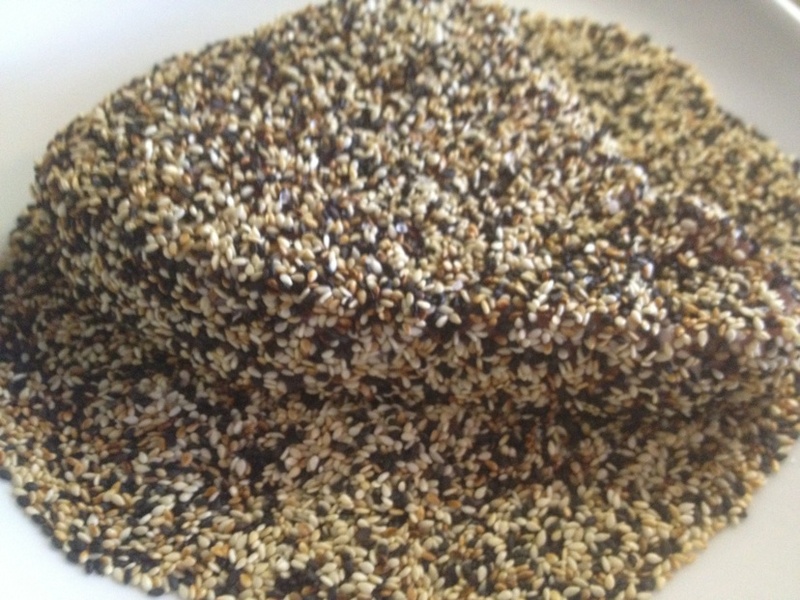 *Black sesame seeds can be expensive so I opted to get the smallest pack and it was more than enough. 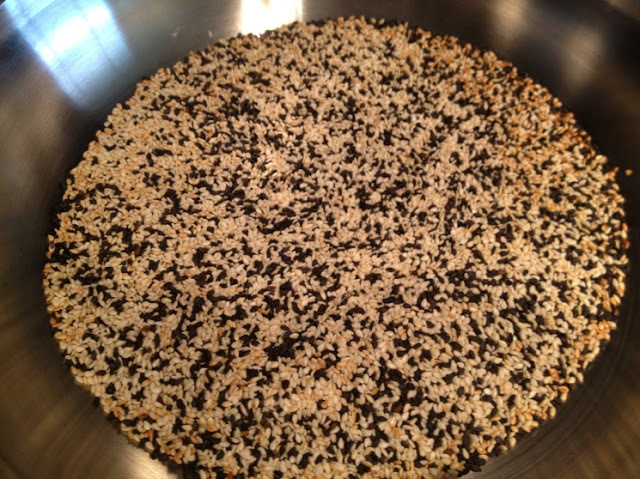 First, you want to toast your black and white sesame seeds. 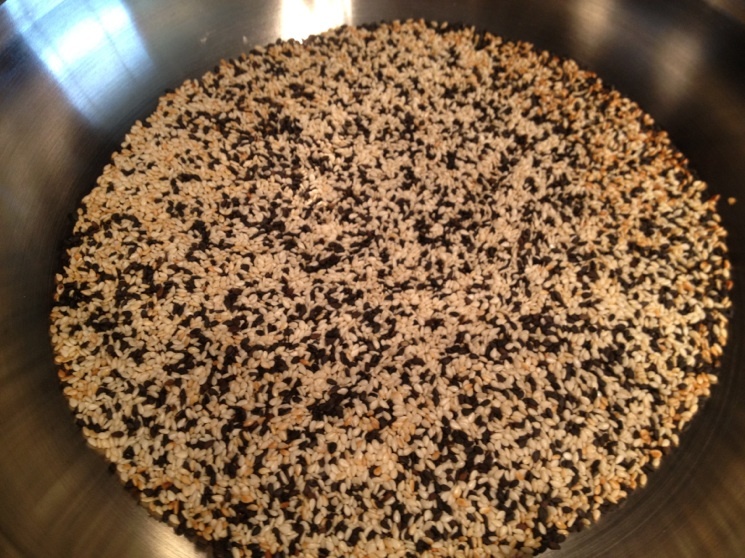 Place the seeds in a nonstick pan and cook for only 2 minutes or until the white sesame seeds begin to brown! Be careful to not burn them. Remove from heat and place on a plate. 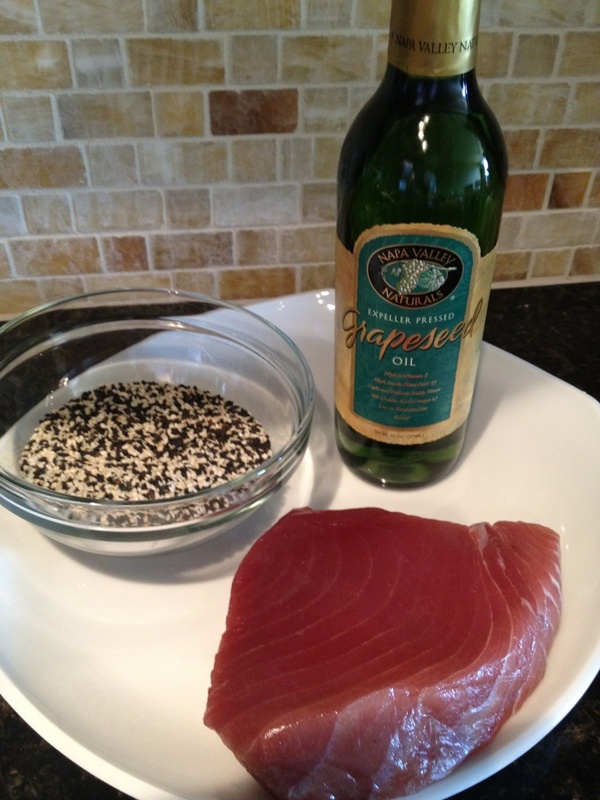 Start by drizzling the grapeseed oil on one side of the tuna. Sprinkle with kosher salt and pepper then dredge in sesame and black seed mixture. Flip the tuna and do the same thing on the other side. Heat 1 tablespoon of grapeseed oil in a skillet on high heat. When the oil begins to smoke, add your tuna. Be careful to not burn yourself as the oil tends to splatter. Cook each side of the tuna for only 1.5 to 2 minutes. Do not cook any longer otherwise your tuna will be overcooked! Let the tuna cool for 5 minutes before cutting thin slices against the grain.